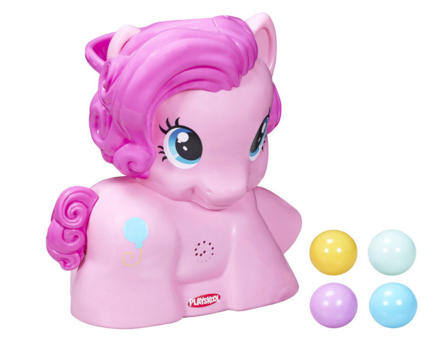 Playskool Friends Pinkie Pie Party Popper Featuring My Little Pony Just $16 Down From $33! You are here: Home / Great Deals / Amazon Deals / Playskool Friends Pinkie Pie Party Popper Featuring My Little Pony Just $16 Down From $33! Here’s a fun Christmas gift idea. The Playskool Friends Pinkie Pie Party Popper Featuring My Little Pony is just $16 down from $33 on Amazon. Get yours now while it lasts! Includes playset (unassembled), 4 balls, and instructions.